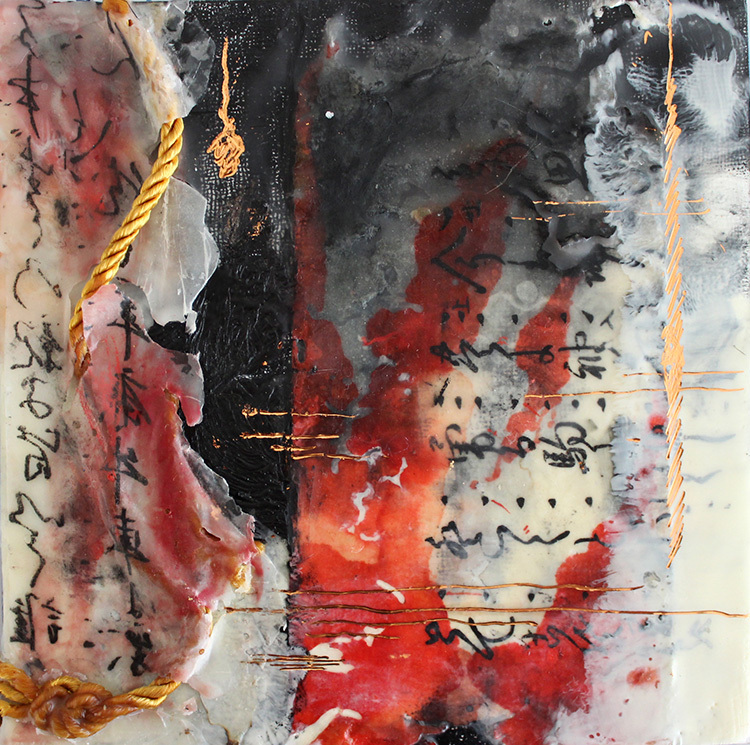 Rhonda Raulston is a Los Angeles based artist with a focus on encaustic and oil media, who regularly exhibits in galleries. 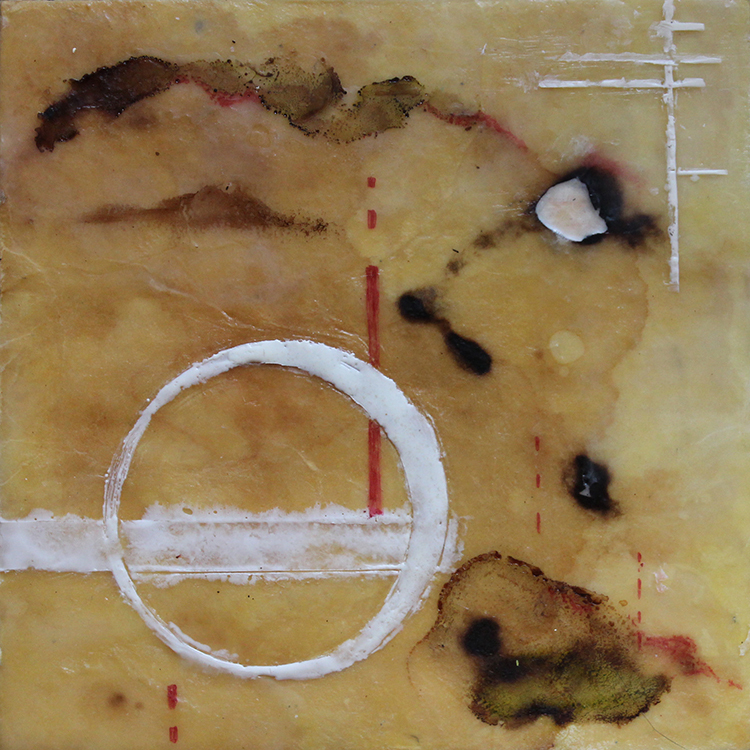 Rhonda teaches hands-on encaustic media workshops that are not only exciting and informative, but also nurturing and inspiring. 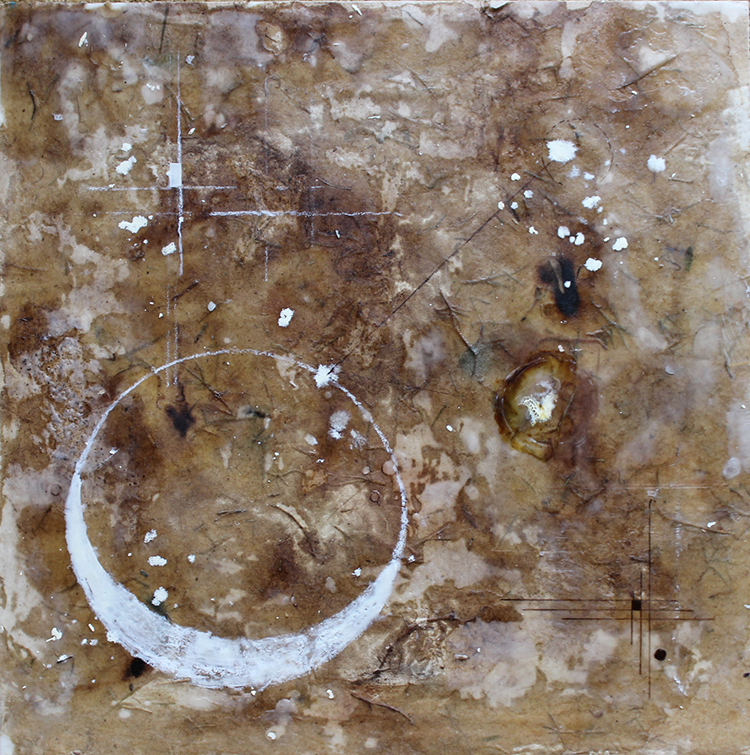 Her attention to detail and breadth of knowledge enable students of all levels to achieve their creative vision. Rhonda's enthusiastic, personalized instruction and vision immerse students in creativity and exploration, with an emphasis on mastery of technique. 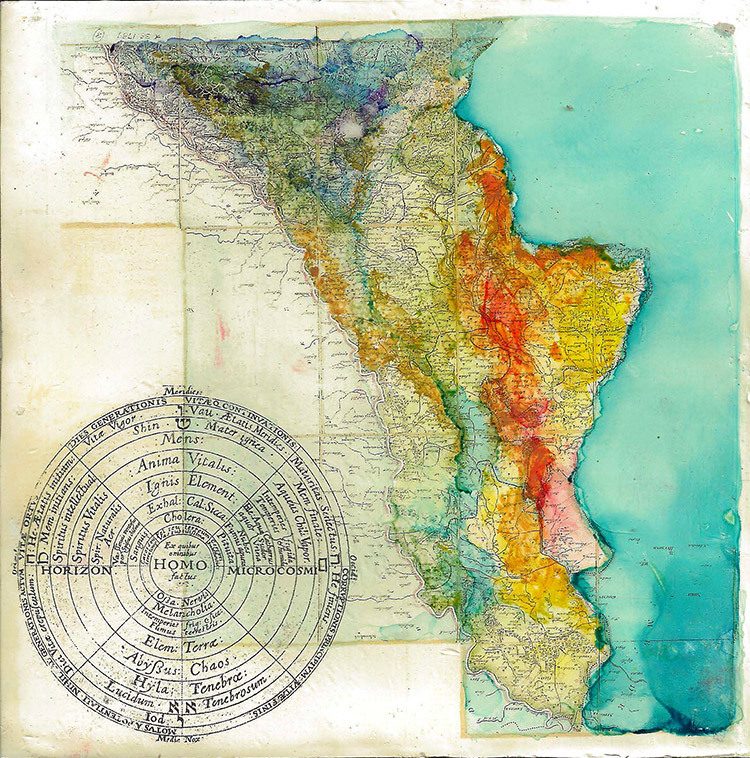 "Meditation Series - The Golden Spiral", encaustic & mixed media on panel, 12 x 12"
"Meditation Series - The Seven Sisters", encaustic & mixed media on panel, 12 x 12"
"Meditation Series - Jacaranda Autumn", encaustic & mixed media on panel, 12 x 12"
"A Map of Odd Habits", encaustic & mixed media on panel, 11" x 14"
"A Map of Perfectly Ordinary Departments and Bureaus", encaustic & mixed media on panel, 12 x 16"
DETAIL: "A Map of Perfectly Ordinary Departments and Bureaus", encaustic & mixed media on panel, 12 x 16"
"Albedo Contemplations", encaustic & mixed media on panel, 18 x 18"
"Apogee Moon", encaustic &mixed media on panel, 8" x 8"
"Perigee Moon", encaustic & mixed media on panel, 8" x 8"
"The Sum of Its Parts", encaustic & mixed media on panel, 18 x 18"
"The Second Immutable Law", encaustic & mixed media on panel, 18 x 18"
"The End of the World", encaustic & mixed media on panel, 6" x 6"